Back in January 2009, Gmail came out with a labs feature to let you access your Gmail without an Internet connection. The mail was synchronized when you were connected and then you could access it when you were offline. For frequent travelers, this is a terrific feature. You can learn more about it by listenging to the Gmail Podcast episode simply titled Offline from March 1, 2009. The downside of the standard offline mode is that it took a very long time to download the messages or in some cases, all the messages you wanted were not there due to the way the software chooses which messages to download. You might find yourself with plenty of messages from a year ago that have little value, but not all your inbox was synced. Gmail Offline now lets you choose which items to download and how far back to get them. This not only saves download time, but also ensures you have relevant information at your fingertips. For example, my Gmail archive is currently around 30,000 messages. It would take a couple hours to download all those messages, and according to the heuristics, I might not get all of the the ones I want. To setup selected offline messages, you’ll need to enable the “Offline” labs feature from the Labs tab on the Settings screen. Once that is done, you can use the “Offline” tab from the Settings screen. The “Download Options” section of that screen is where you configure how far back you want to sync your conversations and from which labels. The old method would have defaulted to all conversations from all labels. I setup mine to only go back a month and then fine tune it to first, ignore most labels, then chose some like Inbox that I want all conversations, and finally chose a few fairly active labels where I only need the past month. Once I saved those options, I was able to sync my data in a few minutes and take it on the road. This feature really makes Gmail Offline a lot more convenient, but you will need to remember to check the settings from time to time to ensure you add labels as they are needed and remove those that are not. Make it unique. Don’t make it the same as your other Internet accounts. If someone compromises your Gmail account, they could have access to lots of other information on the Internet. If you have lots of different passwords to remember, I recommend a password vault program like KeePass available from keepass.info. I use because I have over 100 different passwords to remember at home and work. Use a combination of upper case and lower case letters, numbers, and symbols. One common trick is to replace letters with symbols. For example, replace S with a dollar sign, or T with a 7. Don’t use simple words found in the dictionary like “house”, “automobile”, and definitely not “password”. Don’t use personal information that is easy to find such as your street name, dog’s name, and so on. Putting two or more words together with symbols is a good idea. Something like “dino+eggs”, of course replacing some of those letters with numbers or other symbols would make it a much stronger password. Finally, make you password something you are likely to remember. “dino+eggs” would be great if you are a paleontologist, but not necessarily if you are a stock trader. You can change your password by going to google.com/accounts, or if you are starting from Gmail, go to settings, click on the “Accounts and import” tab, then look near the bottom for a link labeled “Google Account Settings”. Let’s face it, sooner or later we all forget a password. There are just so many of them to keep track of. Gmail has made this a little easier by allowing you to recover your password via text message. Begin by going to http://www.google.com/accounts. Under the personal settings, you should see a section labeled “Security”. Click on the link that says “Change password recovery options”. You’ll need to provide your Google Account credentials one more time to verify your account. Once that is done, you can add email addresses to send a reset link, or set a mobile phone number to send a password reset code via text message. To this, click on the link under the section “SMS” labeled “Add a mobile phone number”. Choose your country and enter the mobile number you wish to send the text message to and make sure to check the checkbox labeled “Use this phone number for password recovery via text message”. Finally, click the “Save” button at the bottom. Now if you lose or forget your password, click on the link labeled “Can’t access your account?” in the login box of any Google application. On the right, look for the article labeled “I forgot my password” and click it. This link is also available on the bottom of the page. You will then be taken to the password recovery page where you first need to provide your username. In my case, I entered chuck.tomasi and clicked Submit. You’ll need to enter the text in the captcha page, one of those graphics with squiggly letters. I’ll admit, sometimes these are a little hard to read and I often have to enter more than one. Once you’ve passed that test, you will be given several options to reset your password based on the account options you chose. If you set an alternate email address, you will receive an email to initiate the password reset process. If you setup the SMS option, you’ll get a text message with a recovery code. Here’s today’s quick tip. Fight phishing with new labs feature. If you are unfamiliar with the term, Phishing, with a “ph” is a term used for nefarious email that tries to lure you to a website that impersonates another in order to get secure information from you. The most notable of these are eBay and PayPal. For example, some Internet villain will send you a message that looks like it is from PayPal and take you to a site that looks like PayPal, only to get your login and password and exploit your real account. This Labs feature in Gmail verifies that an email that says it’s from eBay or PayPal actually is from one of those sources – making it more trustworthy. To use this, go to the Labs tab in Settings, turn on the feature called “Authentication Icon for verified senders”. Now when you see an email from one of these sources, a little gold key appears next to the sender’s name in the message. This currently only works for eBay and PayPal, but I’m sure Google will be extending this functionality in the future. Finally, Google has promoted their first labs feature to a full fledged feature. Tasks is now a permanent fixture on the main page for all Gmail users. 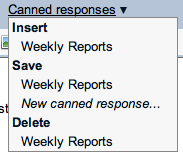 This labs feature was so successful that everyone is now able to use it by clicking the Tasks link on the left. 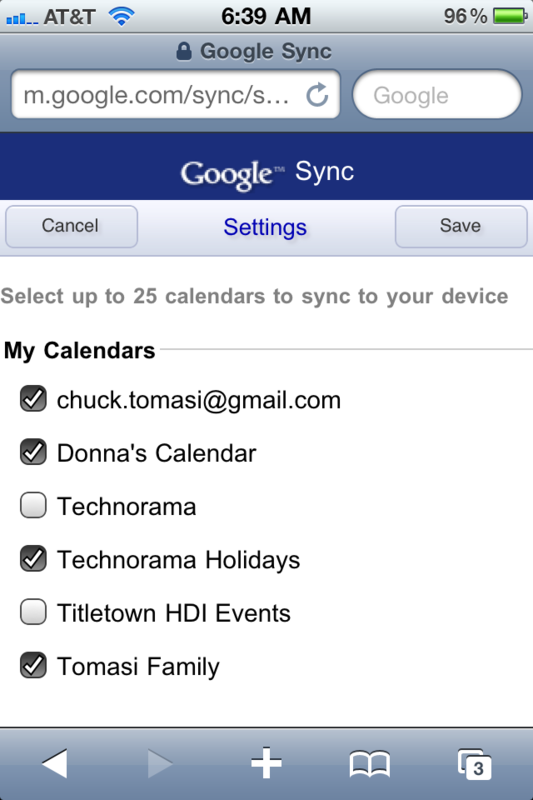 While there is still no syncing with other systems, I expect more functionality in Tasks in the future. After all, they already implemented my suggestion to move tasks between different tasks lists. Thank you Google! Gmail has had a search feature for a while to allow you to search your mail, but until now, there wasn’t a convenient way to search the internet from within Gmail. Many times I’ve been asked in an email or chat for something and had to jump to Google to find the answer. Rather than open a tab, search the web, copy and paste my answer in to a response, Google has made this much easier with the addition of a Labs feature aptly called “Google Search”. What’s more, it remembers the last three searches you did. You can even launch multiple searches and have more than one pop-up window at a time. This is sure to be one of my more used labs features.